Everyone knows family dinners are good for kids but that doesn’t mean they are devoid of struggle. Maybe you feel guilty that your family dinners aren’t joyful. Or you have a difficult time fixing one meal with picky children or a fussy spouse or partner. Then there’s the time crunch of modern parenting — kids’ activities and the reality of work — leaving less time and energy to get dinners on the table. And what if you never learned to cook. How does that work? As a family nutrition expert and a mom, I experience these same struggles. 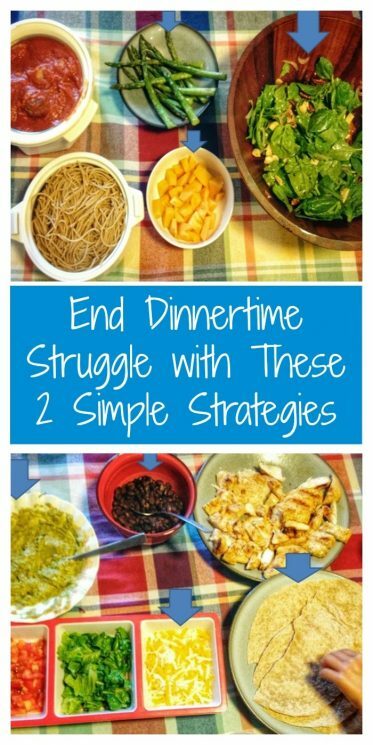 Wanting to solve my own family dinner challenges while helping others, I discovered two very important strategies. And they are surprisingly simple and effective. 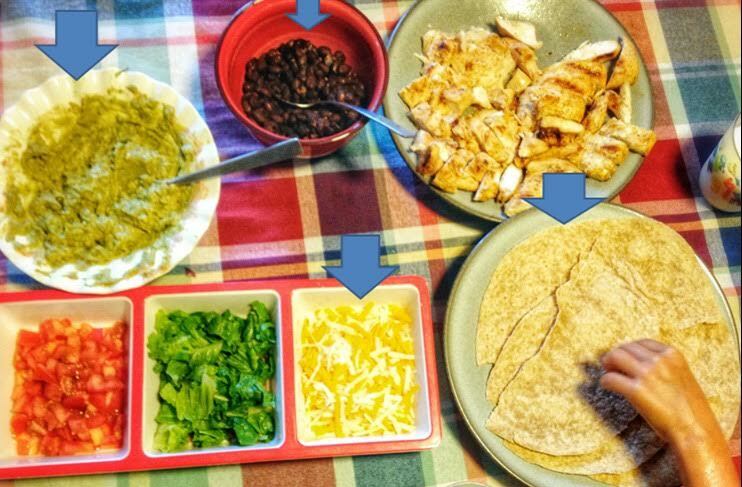 Strategy 1: Build off the meals that already work for your family. One mistake I made early in the game was trying random recipes hoping something would stick. But most of the recipes came and went. I did, however, discover that there were several meals I really enjoyed making. So once I got serious about making changes, I looked to these go-to meals for answers. I asked myself why they worked so well and thought about how I could develop more of them. Work on the meals and sides you need for better variety and nutrition. Need more fish entrees? Lacking whole grain sides? Be strategic when searching for recipes! By focusing on my favorite go-to meals, they began to multiply. I even started looking forward to cooking dinner and rotated these meals for super-simple meal planning. This didn’t change the reality that my kids don’t love every meal I make. I have always given and followed the advice to include at least one thing at the table children like. But it wasn’t until I developed a “side strategy” that everything improved. 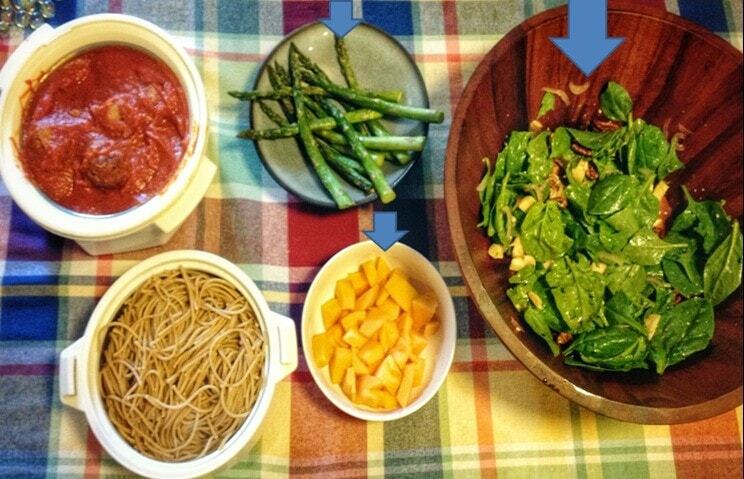 I use theme nights to organize my weekly dinners and really thought about the predictable sides to include. For example, Mexican Mondays I always put out tortillas, cheese, guacamole and black or pinto beans that my kids can go for. Italian night always is served with meatballs and a salad. Soups and stews are accompanied by crusty bread and fresh fruit. And on nights the main meal is a hit with the kids, I incorporate sides that help expand their repertoire. With this strategy in place, I can sit back and relax knowing my children are getting fed and exposed to a variety of foods. Over time, kids accept more items and a side strategy is key to bringing peace and nourishment to the family table. For example, my nine-year-old eats so many foods now she doesn’t really need a side strategy (except for soup night) but my six-year-old is another story. These two strategies wipe away the stress involved with family dinners so you can enjoy your loved ones. Because odds are, you won’t remember the food left on the plate, but the connection you made seeing that beautiful face (or faces) night after night. Maryann jacobsen is a registered dietitian and founding editor of Raise Healthy Eaters, a blog about family nutrition. 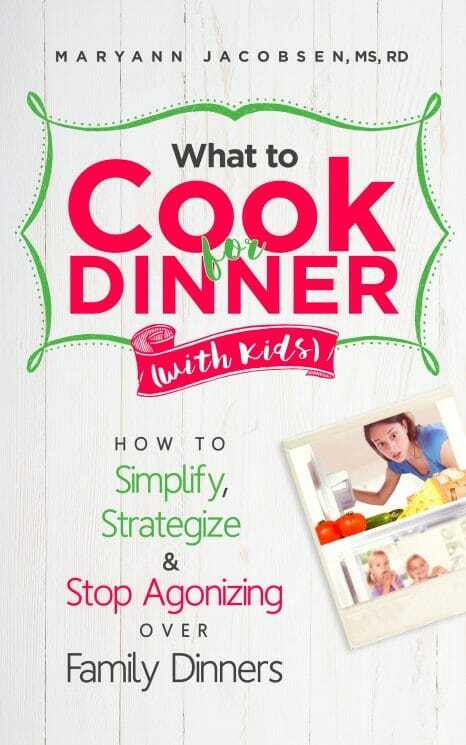 To learn more about her meal-planning strategy and go-to recipes, check out her new book: What to Cook for Dinner with Kids: How to Simplify, Strategize and Stop Agonizing Over Family Dinners.